When it comes to hard-copy documents and records, there are numerous reasons businesses may need to hold on to these paper files. Even when companies have made a transition to using electronic documents, considerations such as the state or national document retention laws—which require hard-copy storage formats in order to remain compliant—are just one reason hard-copy records still remain relevant. Given the requirement to maintain paper files—which can introduce both security as well as productivity issues—many businesses are now left to wonder how best to meet the storage needs of their company using available record storage services today. Since the dawn of business, companies have always had records they must store and manage—ranging from customer information, to transaction receipts and other proprietary or sensitive documents needing keeping. While in the past, available record storage options limited businesses to the sole strategy of maintaining vast inventories of hard-copy documents in filing cabinets or separate storage rooms, the record storage industry today has continued to evolve to better meet the growing storage needs of business. With the sheer volume of records needing storage, companies dedicated solely to providing secure offsite document storage are now catering their services to businesses—helping the modern business manage the paper documents they must retain while still providing innovative solutions to the frustrations that in-house record storage strategies can present. Today the record storage landscape is optimized to suit the needs of business, with options such as offsite record storage facilities or other services like a DMS offering all the security and space-saving benefits needed to meet the needs of industries like accounting, architecture, and government—which rely on a well-organized and readily-accessible inventory of documents. 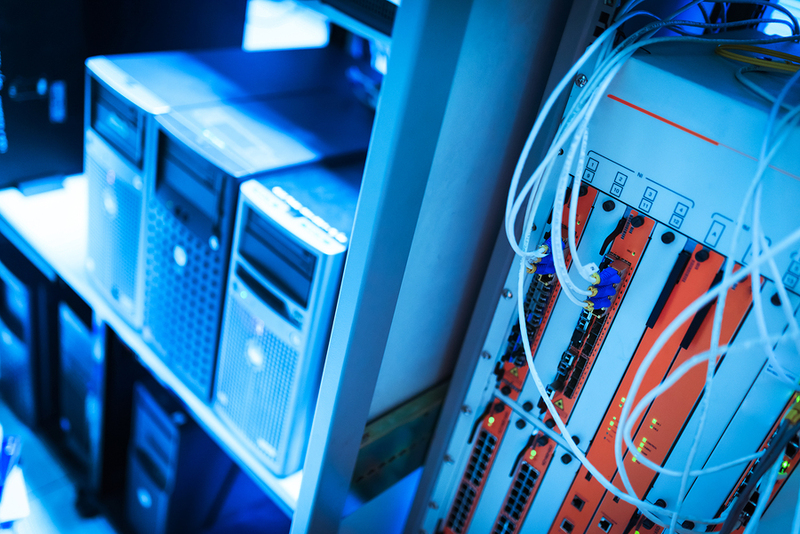 How Can Outsourcing Record Storage Benefit Business? The modern business still has many reasons they may need to hold on to hard-copy versions of their documents. Whether it be for sake of simply saving the money it would otherwise cost to scan every document in the office—including records rarely needed—or for the purposes of maintaining the security and confidentiality of a single record, many businesses still keep hard-copy documents. When it comes to storing these paper records, there are two essential options businesses have for going about this—either outsourcing their storage needs to an offsite storage facility, or simply managing them in-house in either filing cabinets or dedicated record storage rooms. 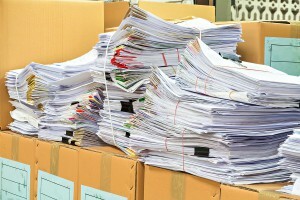 While an in-house storage strategy entails dedicating space to store documents and potentially opens the possibility of an employee abusing their access privileges or an environmental hazard damaging records, outsourcing the storage of these documents to a secure offsite facility provides a solution to all these issues. Protect from Records Being Abused or Misused – Unfortunately, in the real world businesses must ensure they prepare for the possibility of an internal employee potentially misusing sensitive company information. In keeping these confidential documents at a secure offsite facility, businesses can minimize their risk of exposure. Save Valuable Office-Space for More Productive Purposes – The more documents a business stores in-house, the more valuable real-estate is being wasted on office-space which could be dedicated to revenue-generating employee workspaces. 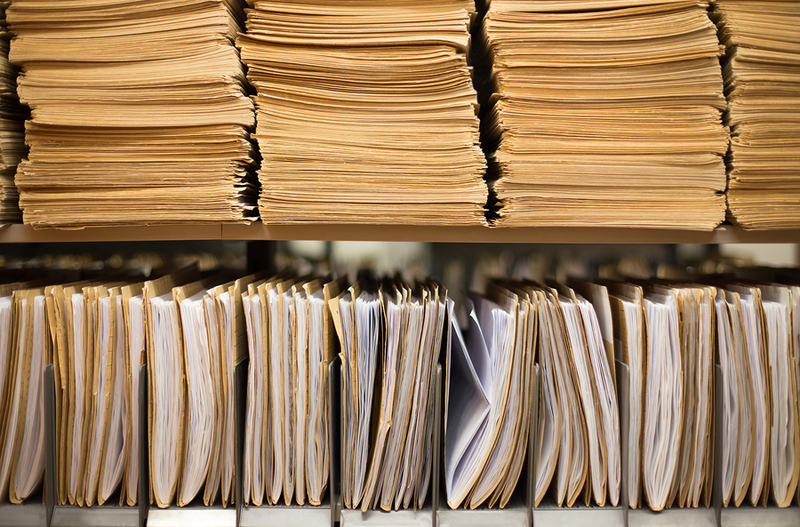 By storing these records offsite, businesses can free-up room and boost work-efficiency. Prevent the Threat of Environmental Hazard – In the event of natural disaster, if the entirety of the company’s records are managed in-house there’s a good chance most—if not all—of these valuable documents will be destroyed. With offsite storage services however, many providers take strides to provide climate-maintained storage facilities. Working With a Single Copy – When it comes to documents frequently updated or needed by multiple people, it can become difficult to share paper files. On top of this, if records are requested, copied, and updated, how can you be sure the most current document is re-filed? Lack of Accessibility – When business documents must be accessed regularly, it still isn’t practical for companies to wait around all day on their requests—even when it does mean stepping-up on their security. As a result, many companies in this position will also implement supplemental services like a DMS to balance accessibility needs. Above all, the primary issues companies will struggle with when it comes to implementing an offsite record storage service is the potential inconvenience of accessing these documents. Rather than being stored in an onsite records room or a filing cabinet in an office corner, these documents are managed at an offsite facility. They can still be readily requested—although many companies may become frustrated with the inability to reference records at any given time. Luckily however, recent innovations in record storage services have been able to offer businesses solutions to such hindrances. For companies struggling with document accessibility, storage options such as document management systems (DMS) for electronic records can provide an ideal strategy for maximizing document security while keeping critical records used regularly readily-accessible. So What Exactly Is a Document Management System (DMS)? With the growing volume of many company’s record inventories today, many businesses have needed to implement additional technologies with their document management processes. As a result, businesses today are now able to make use of what are known as electronic document management systems (DMS) to better cope with archive size and accessibility demands. Using a DMS, paper documents are able to be scanned, copied, stored and organized after being converted to digital copies—thereby allowing companies to integrate electronic records with hard-copies or convert to digital systems altogether. With the help of document management systems, companies are offered document storage, security, version control, and remote retrieval—providing an ideal solution to the accessibility frustrations that strategies like offsite storage facilities can present. Generally speaking, in order to implement a document management system of any form within record storage processes, a company has several options for going about this. 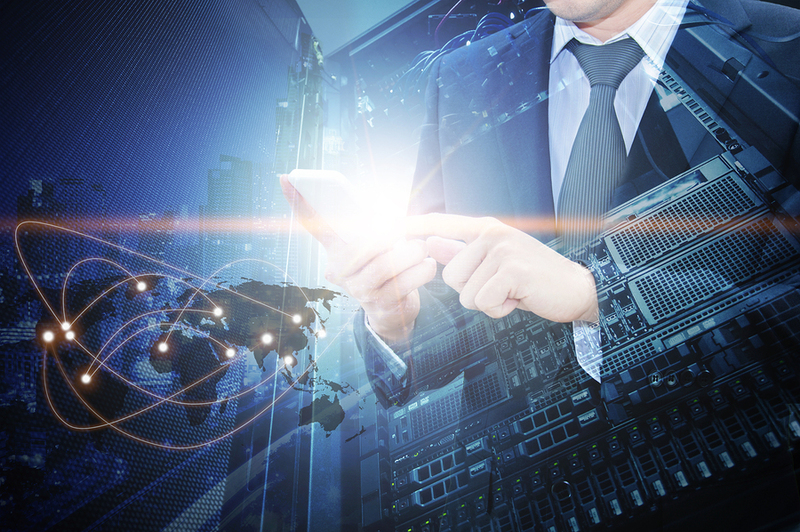 While on one hand, businesses are able to adopt a hybridized system—effectively getting the best of both worlds—there is also the option to fully transition a pre-existing system to an electronic document management system. Rather than forcing the business to opt for just one or the other, hybrid systems allow companies to utilize both paper and electronic document management systems of their documents. The reasons a company may choose to maintain documents in hard-copy format can vary—ranging from the more practical cost of hard-copy storage for rarely-used records, to the need to have a paper copy of legal documents—but what about the documents the company uses each day? With the help of a hybrid DMS, businesses finding themselves in similar positions are able to balance their budgetary restrictions with more practical work-efficiency needs—keeping the constantly-used files up-to-date and always-accessible for the business in digital formats, while sensitive hard-copy documents remain secure at an offsite facility. As companies plan for how they will store and manage their records, one of the most significant issues businesses run into boils down to the difficulty of quickly finding and accessing hard-copy documents. For this reason, qualities to an electronic DMS such as being keyword-searchable or better protected from environmental hazards are all the more valuable, as these aspects help to maximize the work-efficiency of the DMS’s users while still being able to balance essential needs like document security. While using a fully electronic document management system as the primary method of record storage can be ideal for smaller businesses with fewer overall documents to manage, the larger a record inventory grows the more expensive it will be to scan and convert a pre-existing paper inventory. 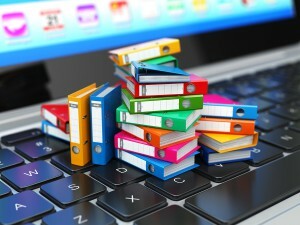 As a result, when budgetary needs of converting to a fully electronic DMS become a concern, companies finding themselves in similar positions are often urged to consider scanning only the essential documents that will be most useful in electronic format, and instead save the funds otherwise devoted to scanning rarely-used files into the system. With a clearer idea of how a hybrid or full-blown electronic document management system actually works, the question many are now left to answer is how the system will be integrated. 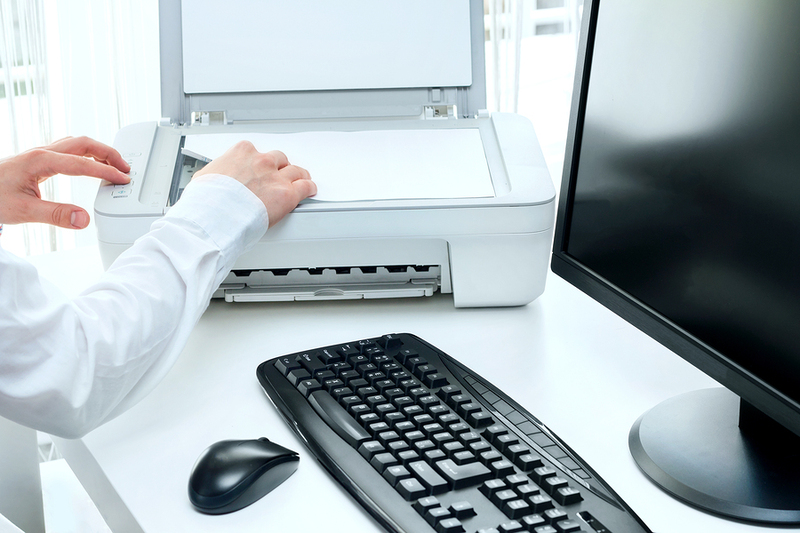 In order to convert documents to digital formats and make an electronic transition, a business will need the help of a document scanning service to create digital copies of their documents which are stored, indexed, and secured within a DMS for easy-access. Typically, companies have several options for tackling a project of this nature, as business-specific variables such as the size of existing record inventories can play a large role in both the overall project size and cost. Put simply, day-forward scanning services provide companies looking to make use of a DMS with a less stressful option for making the transition. Picking a date in the upcoming future, a company from that point-forward will no longer store new paper files—instead immediately scanning and storing digital copies of all records as they’re created. 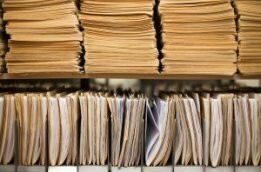 For companies and organizations which deal with large record inventories spanning years and even decades, taking a day-forward approach to scanning documents into a system can be a more practical strategy, as this option allows business operations to continue as-usual while older records continue to be scanned as time permits. While day-forward scanning may on one hand appeal to the needs of large companies with extensive backlogs of records to convert to electronic formats, day-forward services can also help to better suit the needs of businesses that don’t have the budget to scan their entire document inventory in a single project. By breaking out the electronic transition into more affordable monthly or quarterly projects, companies can better justify the investment in an electronic or hybrid DMS—still eventually digitizing all documents while also maintaining valuable budgetary breathing-room. Purge or backfile document scanning entails a business scanning the entirety of their existing record inventory and creating digital copies of all documents in a single project. Providing one method for integrating both hybrid and standard electronic document management systems, this option will get the process over and done with quickly, but can be more expensive. For some smaller businesses with less documents to manage, this can be a quick and easy way of integrating a DMS with the company record storage process rather than dragging the transition out over a period of weeks. 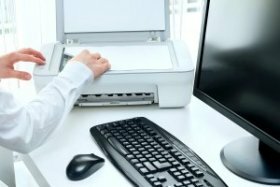 Although a larger company with a massive backlog of existing hard-copy documents may find this less practical considering the time and budget requirements a scanning project of this size would need, purge scanning projects can still be used to supplement other scanning strategies. For old or infrequently-used documents, a company can hold onto these in their hard-copy format for later—saving them to scan into the electronic system as a single project when time and budgets permit. 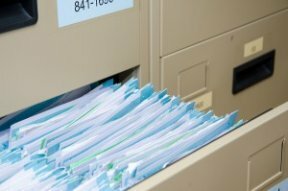 Managing a company’s document storage practices and processes is one of the most challenging and time-consuming aspects to any business—especially when best practices in document management aren’t necessarily the company’s forte. How Many Stored Documents Do You Access Regularly? For businesses needing to reference or access the majority of their records on a regular basis, supplementing secure offsite storage facilities with a hybridized DMS for documents needed more often is typically an ideal option for balancing the best of both worlds. Are You Considering Implementing Electronic Records? If companies are planning on potentially adopting a DMS at any time in the near future, it’s important that factors like how the conversion process will be handled are also considered. The more records the business has to convert, the more complicated the scanning process can become. Searching for Record Storage Services to Suit Your Needs? Record Nations Has Your Solution! Finding the right record storage service to suit the individual needs of a company can be difficult—especially when it comes down to weighing the pros and cons of the various services available today. At Record Nations, we partner with a nationwide network of the top providers in record storage services, offering business a variety options ranging from offsite record storage facilities to hybridized hard-copy and electronic document management systems. To learn more about any of our available hard-copy or electronic record storage services or to get started implementing the scanning and storage services you need for your company document management plan, just give us a call at (866) 385-3706, or simply fill out the form to the right of your screen to get free quotes on record storage services today! Regardless of the industry and type of business, companies of all shapes and sizes need to have a plan for how they will manage and store their documents. Although some records may be more efficiently kept in electronic formats, storing other less-used files in hard-copy format offsite may be more practical—or in some cases, even required. Get the breakdown on the varying advantages and downsides to offsite storage services with this in-depth white paper. While managing company records no matter the number is a time-consuming task, this can become a monstrous project for larger companies—especially if there are plans to convert a large archive of hard-copy documents to electronic formats. 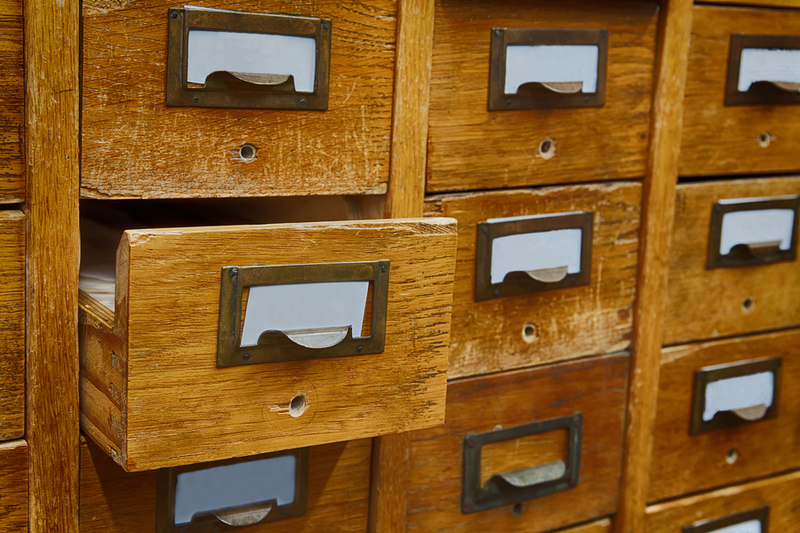 Here, we take a closer look at alternative record storage options like a hybrid DMS, and how it can help to balance the convenience of digital documents with the security of hard-copy files. 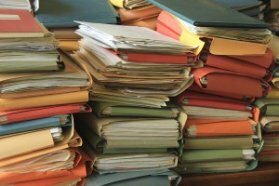 Although it’s hard to deny the benefits to work efficiency that scanning and converting documents to electronic formats can provide for businesses, many companies nevertheless struggle to justify a major scanning project considering the temporary impact to work-efficiency and the project’s final cost. Learn more about innovative new options for digitizing like day forward scanning, and how a day-forward approach helps business simplify the digital transition.